where referencing that series is quaint, like referencing Days of Future Past. Or in the case of the recent Secret Wars event, referencing everything. From this first issue I can say that Jeff Lemire and Andrea Sorrentino may pull a great story out of this, but unfortunately the origins of that story and the effect it has on the initial plot may drag this series down. Honestly, I never finished the original Old Man Logan series, and didn’t read the Secret Wars tie-in written by Brian Michael Bendis. With the former my problem was Mark Millar fatigue, since by 2008 he was basically packing up his wagon and heading to Hollywood, and I was done with reading the story patterns of his miniseries. His work always starts with strong ideas, but you can tell that when he gets bored, he destroys. Nasty things happen, often at the expense of anything the character would actually do. For example: Would the apocalypse really turn Bruce Banner into a cannibalistic, hillbilly, patriarch and landlord? No, he would turn into the way cooler Maestro obviously. Fortunately, this series starts with Logan displaced out of time, before all the bad stuff happens. As he comes to his senses he remembers everything, and he sets out on his mission to kill everyone who wronged him in the future, before they wronged him. Banner. Red Skull. Mysterio. Butcher. “Butcher, who’s that?”, is a very logical question to that one name, and there’s really nothing to be taken away from the character’s easy murder in this issue. In fact one gets the feeling of diminishing returns once we get past Red Skull in those names I’ve listed above. We’ve already seen Mysterio die a pretty thankless death. In fact, we’ve pretty much seen everyone on that list other AND most recently Logan/Wolverine die before. Obviously we’re not going to see a character from the MCU Avengers movies die, especially not a Hulk in his prime against a geriatric Logan. 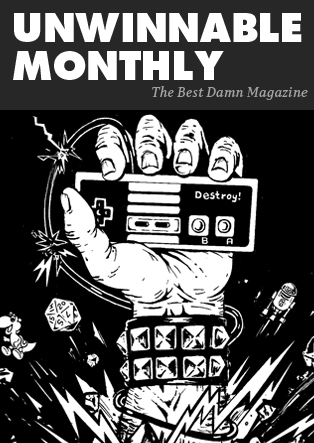 The annoying part is that fight is happening in the next issue, so that may take some wind out of the sails of any momentum that this series has. I have confidence in Jeff Lemire though. He is a comic book writer that can really get into the heads of his characters, and he has taken what initially sounds like a ridiculous premise and turns it into a thing of excitement, beauty and emotion. 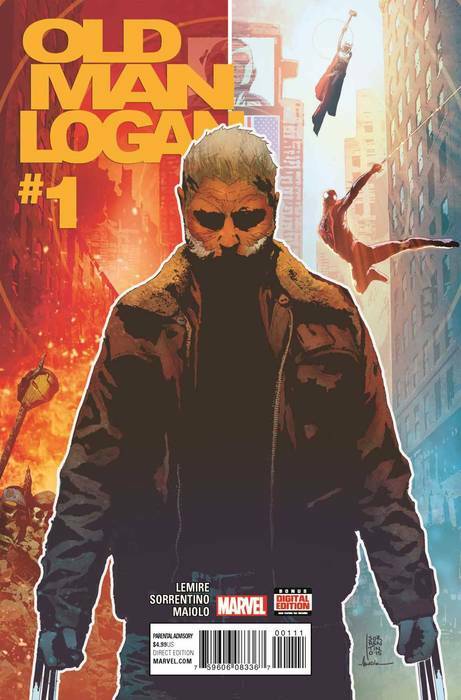 I’m hoping this series takes a turn from Logan’s death list, and maybe it can actually fit the character back in as a man who now looks on the outside how he most likely feels on the inside: worn, tired and gray. Andrea Sorrentino does an excellent conveying this with his art, so much so that I can forgive him for theDark Knight Returns homage. He does a wonderful job with it, my concern is that if Lemire made the choice to do that homage then that may be how he wants to go with this series. A Wolverine Dark Knight Returns could be fun, but for stories like that I’d rather have them remain in the future. Let it be as crazy as it wants to be, and kill off major characters in the Marvel U. To be honest, a Wolverine Dark Knight Returns already happened eight years ago. To have Logan as an old man in sane times, who has somehow managed to live twice as many lives as anyone else who has lived for centuries, is a solid enough premise. If this series goes and explores more of that I could be interested, but as of now the big villain that needs to be killed is the leftover continuity of Secret Wars and the various Old Man Logan series. Now here’s a comic that’s right up my alley. Why I waited so long to jump in is beyond me. Being a life-long fan of pro wrestling (admittedly, more out of the game recently than in) and being a mark for the behind-the-curtains inner workings, Ringside might as well have been written for me. We’re not just talking about wrestling here, though. Ringside‘s strongest suit is its unique characterization. Here are stories about people, people whose lives happen to be made, and broken, by the wrestling business. Ringside tips it’s hat to noir movies of the past, with wrestling standing in for America’s second favorite worked sport – boxing – as the stage where men fight for and against things bigger than themselves. So, who makes up our wayward cast? One of the major characters is gay and the main character very well might be gay. Another top character is a disabled woman. Despite my love for wrestling, any casual observer of wrestling from any year can tell you that minorities, gay men and women, and women in general aren’t treated in the best light, usually played for for laughs or eye candy. Kudos to creators Joe Keatinge and Nick Barber in daring to be different. A quick run-down of the Ringside card: aging ex-grappler Dan Knossos returns to the U.S. after some time in Japan, ostensibly to right some wrongs with an ex-lover. His old running buddy Davis is traveling the circuit with youngster Reynolds, teaching the newbie the business. Knossos doesn’t want to get back into the ring, as he feels it would be asking for trouble, considering his age and yet-untold events from his past. But trouble finds our would-be hero in short order. Knossos doesn’t want to ask his friends for support, other than for a ride, or maybe a fist or a gun at a choice moment. Is he a loner or an opportunist? Does he deserve the monkey wrench upside the head he gets on his first night back in the states? As much as you may want to (and I certainly want to,) don’t try to match up Ringside‘s characters with anyone from the real world of wrestling. Keatinge and Barber say almost as much in their rundown at the end of issue #1. Even if Davis looks like some sort of Michael “P.S.” Hayes-Diamond Dallas Page mash-up, and the head of our wrestling federation combines the look of Verne Gagne, the country-isms of Ted Turner and the temper of Vince McMahon. Another notch in Ringside‘s belt is that the creators aren’t concerned with topping themselves each issue (like say, each week of televised wrestling.) It’s meant to be read as a whole series, and issue #3 digs a little deeper into Knossos’ back story, although plenty is still left mysterious. I was hoping for a mini series, which would keep things tight, and keep us guessing at secrets we weren’t told. 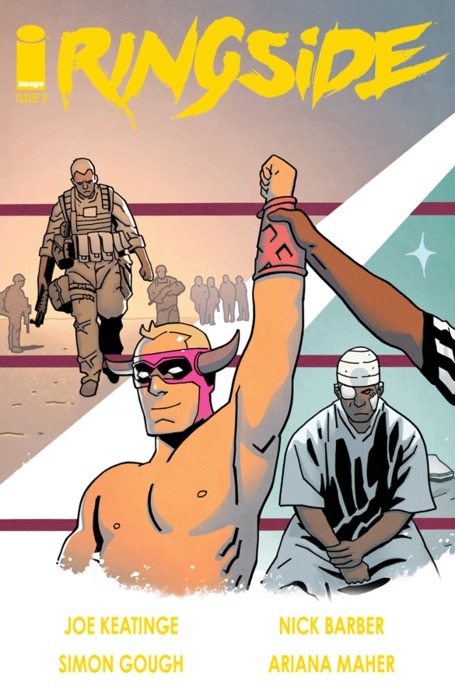 It seems like Ringside will be around for a bit, with the first arc wrapping up in issue #5 before a short break. So, this means the meat of the story is going to come on like a house of fire, to misquote and mix my Jim Ross and Gorilla Monsoon metaphors. I’ll tune in to the show again next month, and for longer if Ringside will have me. My occipital protuberance digs where things are headed.